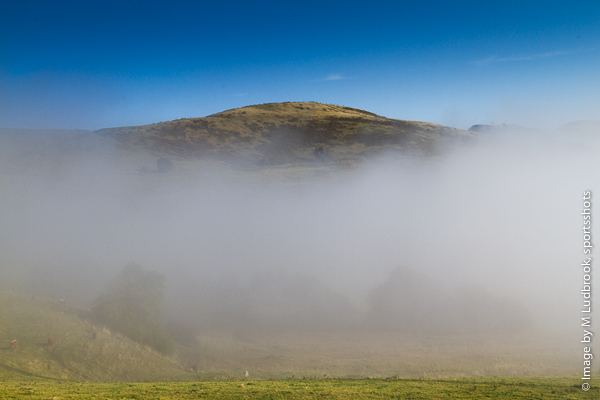 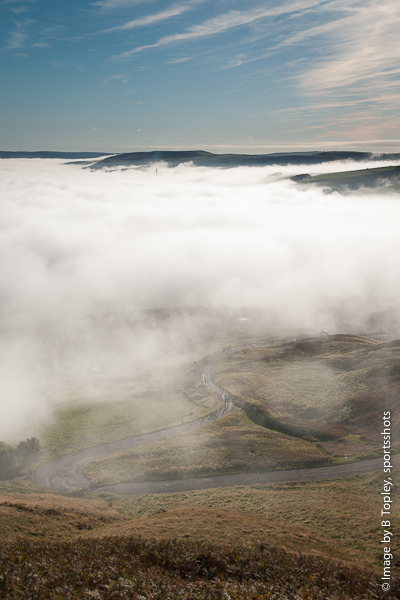 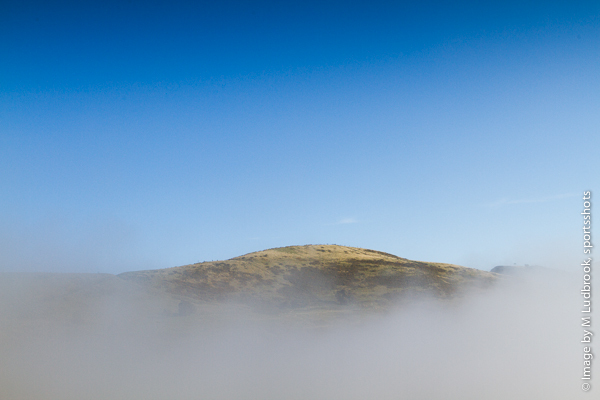 In the early morning of the 7th October, high above the Derbyshire town of Castleton, fog hung in the air like a veil, giving everything an ethereal appearance. 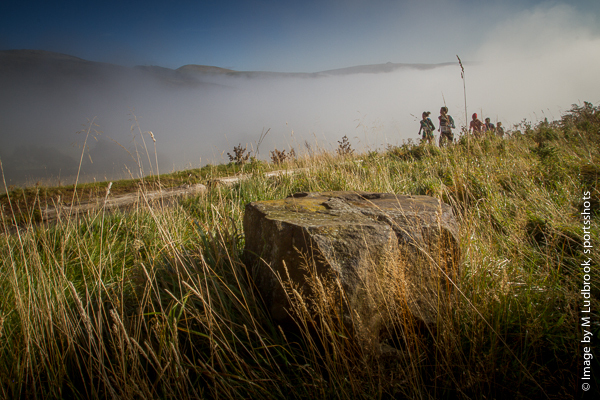 As the mist cleared it revealed brightly coloured people performing some bizarre ritualistic dance - bending, stretching and gyrating; warming up reluctant bodies in preparation for punishment they were about to endure... 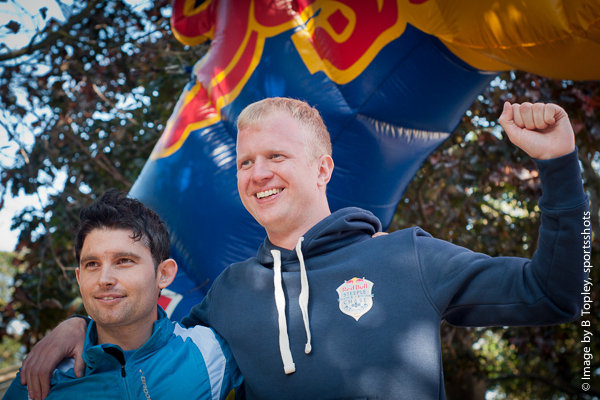 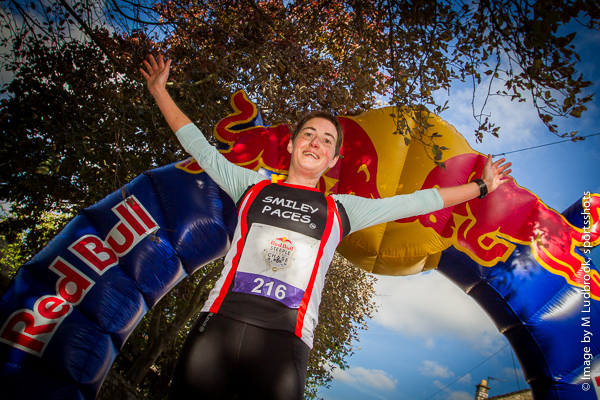 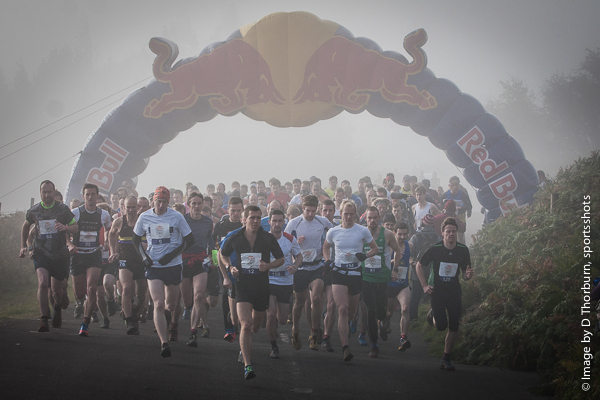 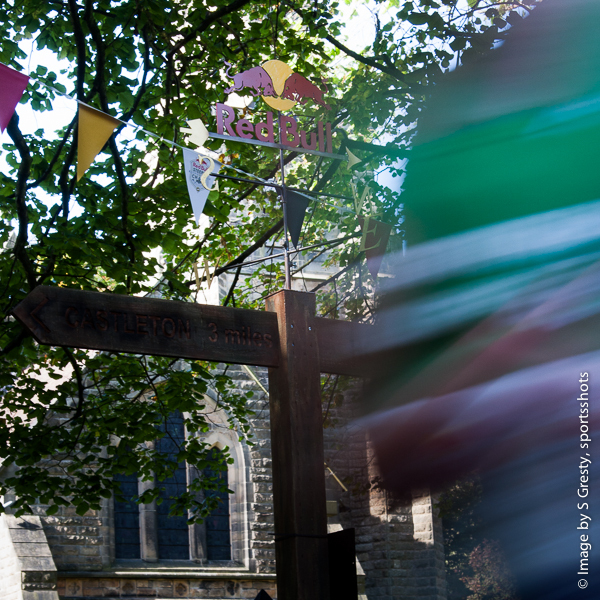 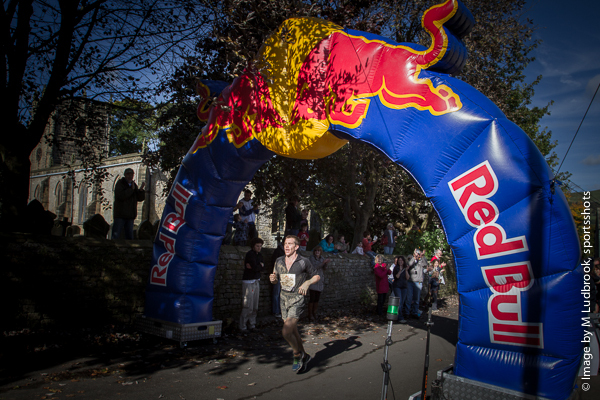 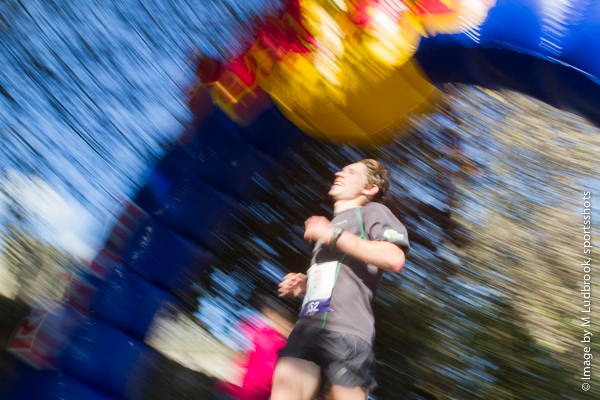 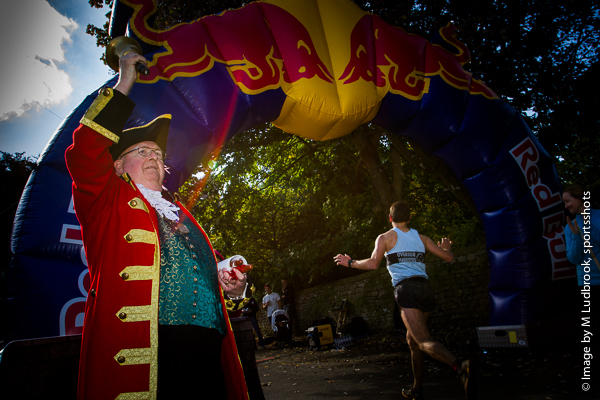 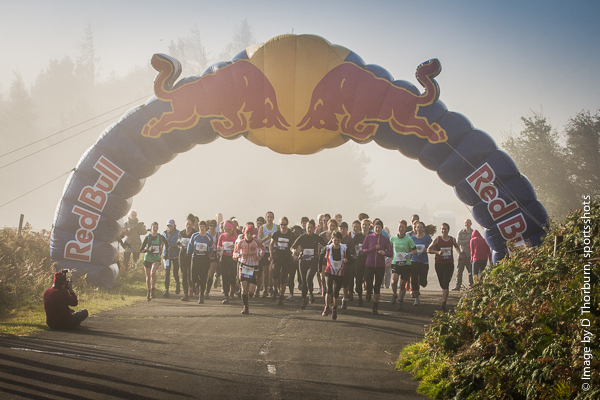 This was the scene at the start of the gruelling 2012 Red Bull Steeplechase. 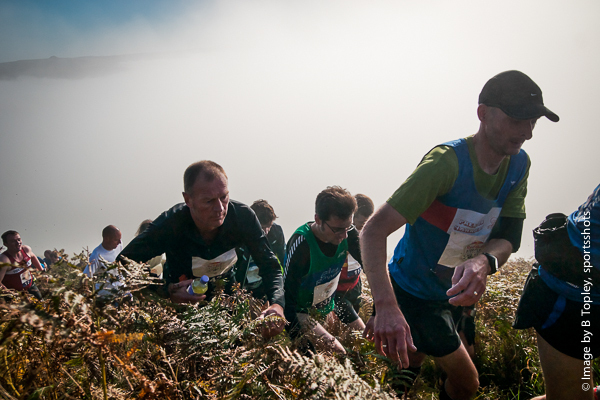 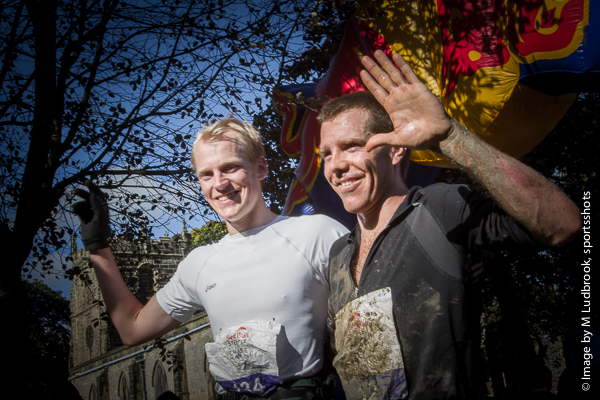 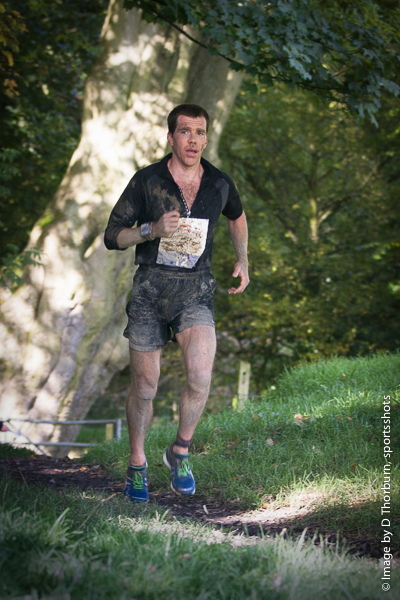 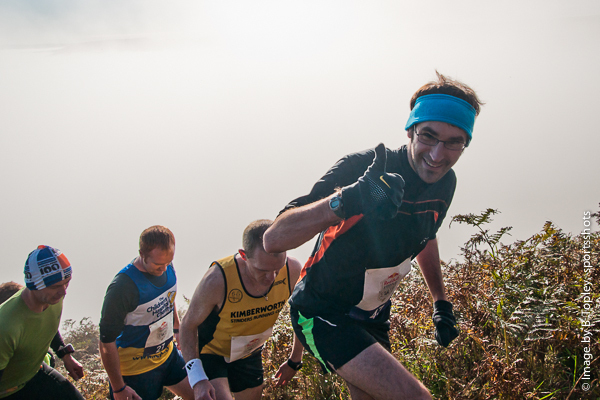 A physical and mental challenge to 160 runners from across the country to come to Derbyshire’s Peak District to compete in a new breed of endurance event. 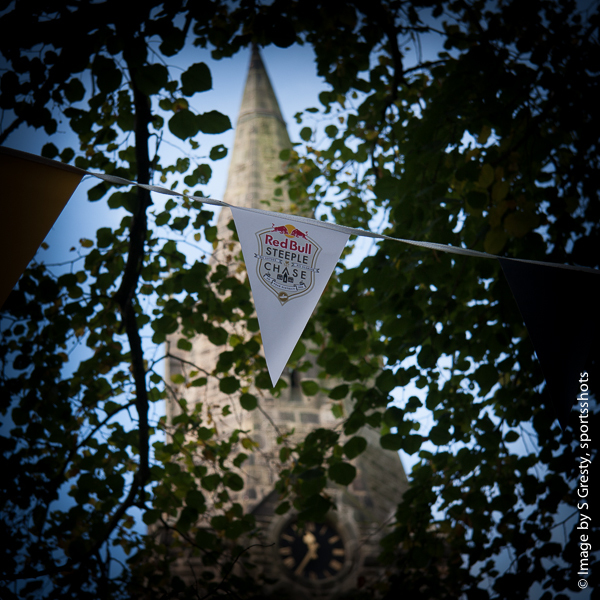 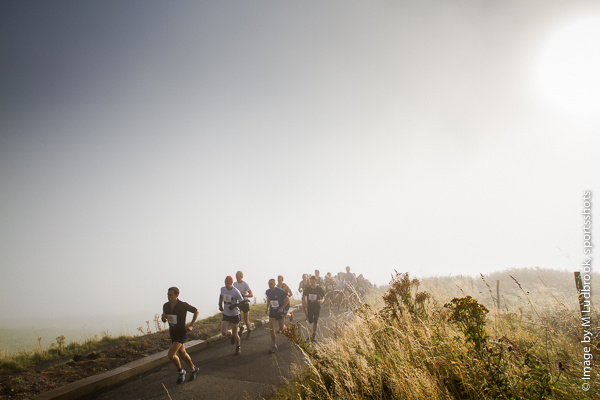 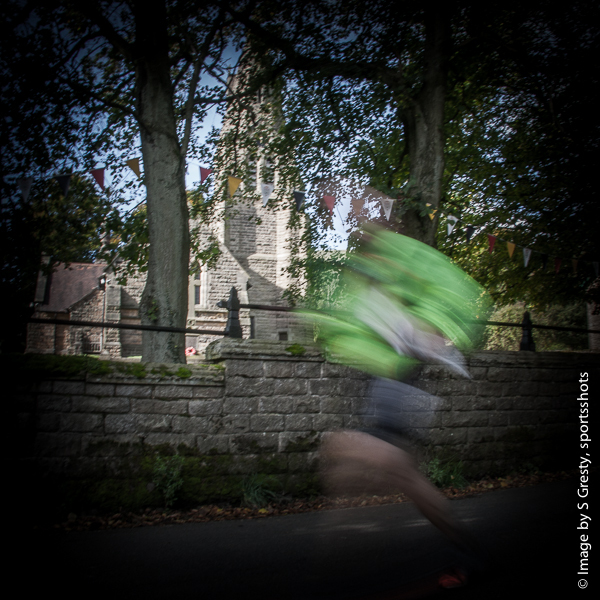 The competitors were faced with a 21 mile fell race through fields, woods and over hills across four stages from church steeple to church steeple, with an overall height gain of more than 1400m. 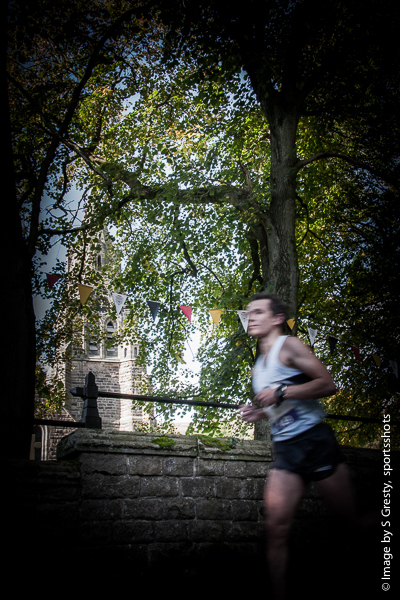 The cruel twist to this race was that at each of the steeple checkpoints, a number of slower runners would be eliminated. 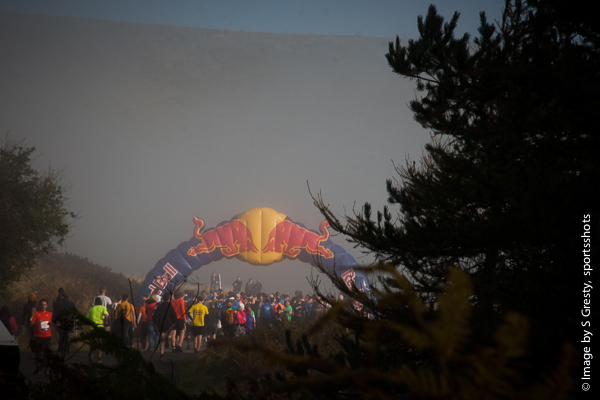 At just after 9 o’clock, the nervous participants gathered in the mist for the race briefing, where they were given last minute details before making their way towards the start line. 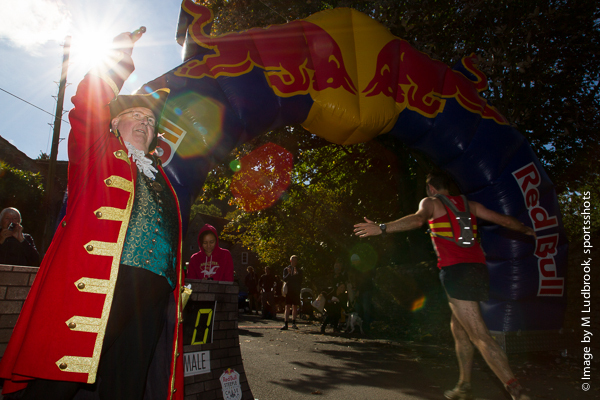 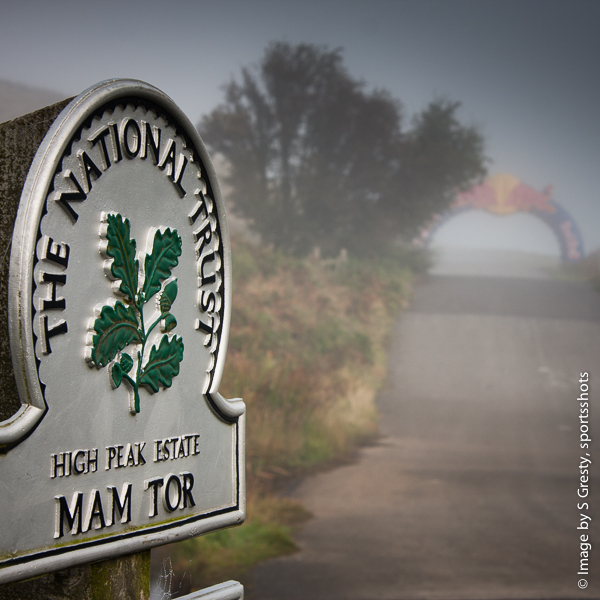 Just before 9:30am, the male competitors gathered pensively under the Red Bull gantry and just as the sun finally broke through the cloud to reveal Mam Tor and the surrounding peaks in all their glory, the Castleton Town Cryer sounded his final ‘oh yay’ and the men’s race was away. 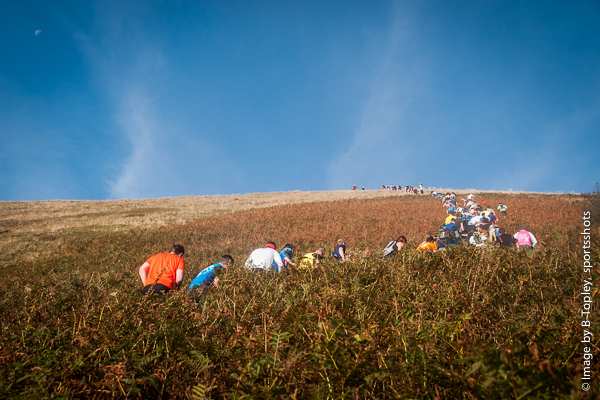 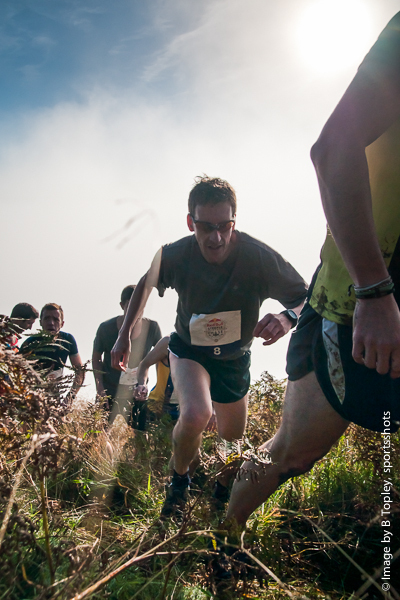 The competitors were immediately given a taste of what was to come, when, within the first mile, the route took them straight up a brutal 150m climb onto the ridge, just north of MamTor. 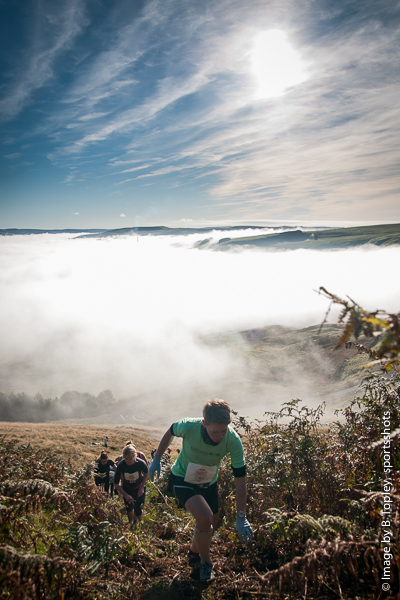 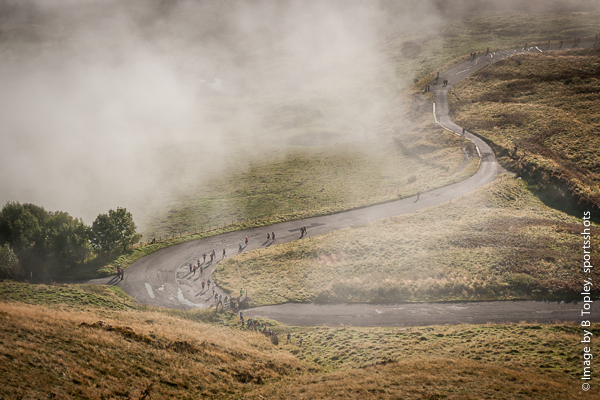 As the mens race reached the ridge, and the cloud settled into the Hope Valley, giving a stunning temperature inversion, the Town Cryer sounded the women off 15 minutes behind the men. 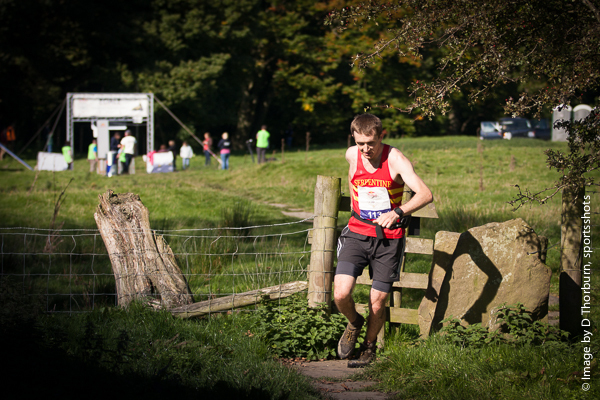 The route took the competitors along to Hollins Cross and Lose Hill, where it then descended down to the road and across the River Noe before climbing up Hope Bank and along the north side of Win Hill before dropping once again into the village of Bamford and the first checkpoint. 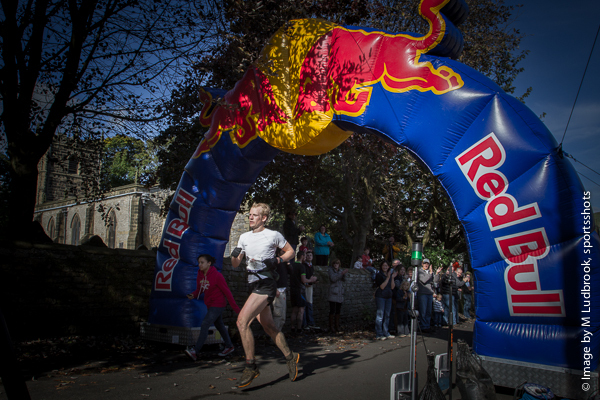 At this point Chris Steele was ahead of Russell Bentley by just 12 seconds having covered the first 8 miles in a staggering 1 hour 5 minutes. 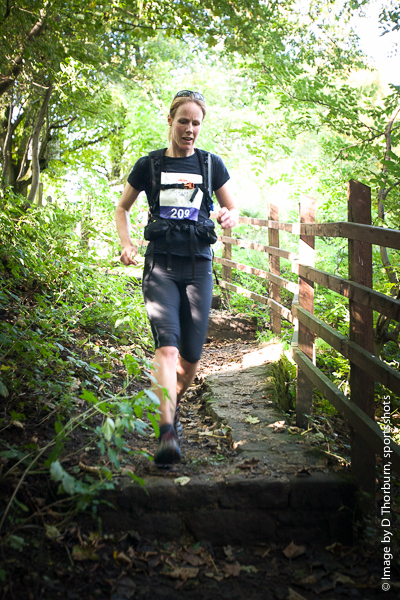 The first lady through the checkpoint was Sally Fawcett with a commanding time of 1 hour 24 minutes with Dorothy Pelly some 5 minutes behind her. 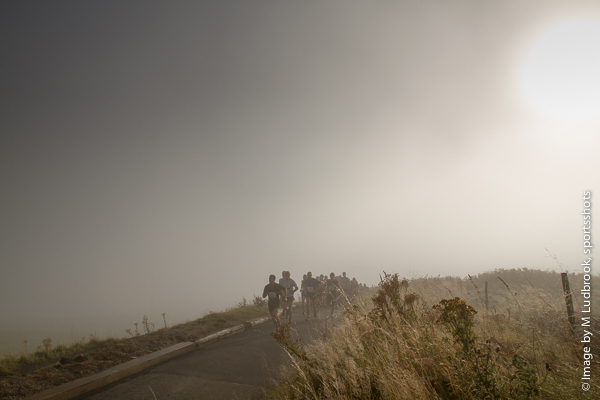 The competitors then climbed back up the southern spur of Win Hill and then descended on the east side into Hope. 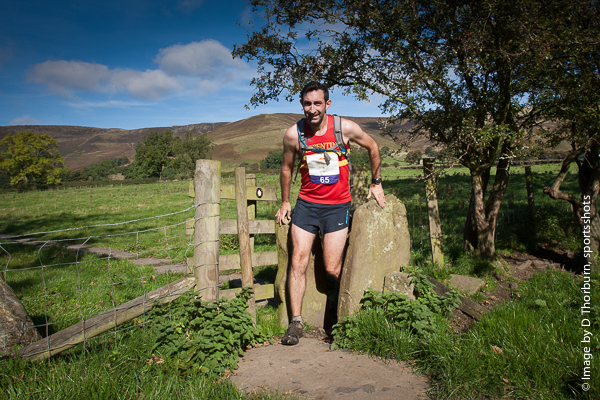 It was during this stage that Bentley produced a surge of energy and overtook Steele in an amazing display of power and stamina to arrive at the second checkpoint just 19 seconds ahead as he started the third leg of the race towards Edale. 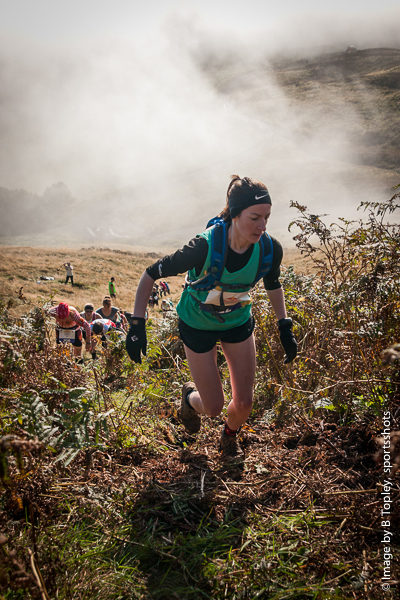 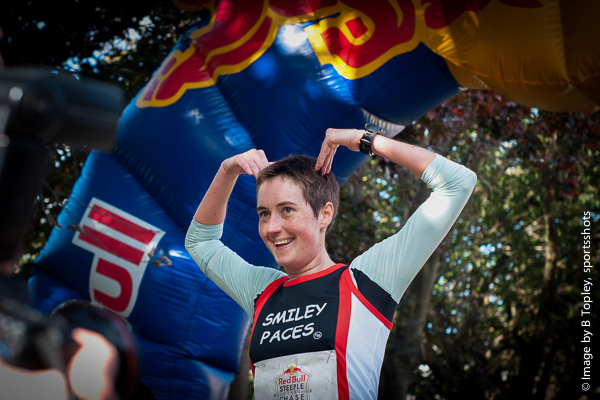 In the women’s race, Sally Fawcett managed to extend her lead over Dorothy Pelly during the leg into Hope, however, third placed Beckie Woodland was beginning to gain on Pelly. 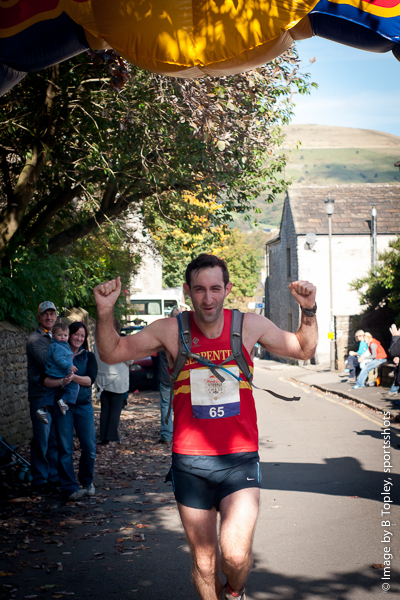 As the men raced back over Lose Hill, across the Vale of Edale and up onto Nether Moor via Jaggers Clough, there was only half a minute separating Bentley and Steele and that’s how it remained as they dropped down past the steeple at Edale to the third checkpoint. 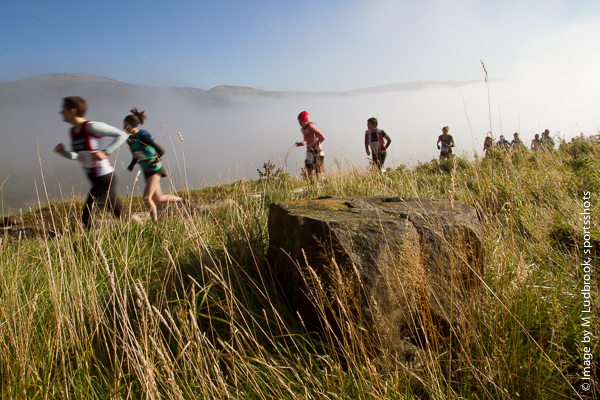 Sally Fawcett maintained the lead in the ladies race but behind her the race for second place was hotting up with Dorothy Pelly and Beckie Woodland coming through the Edale checkpoint neck-and-neck. 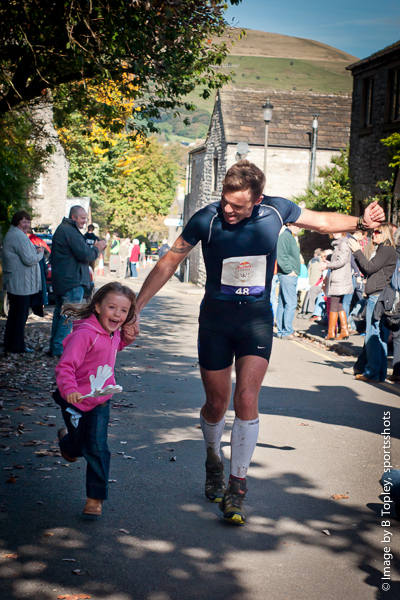 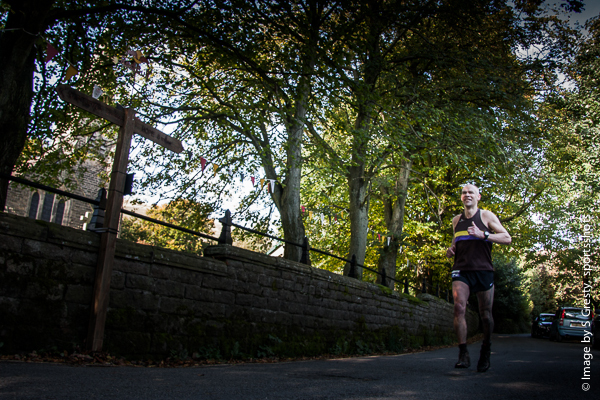 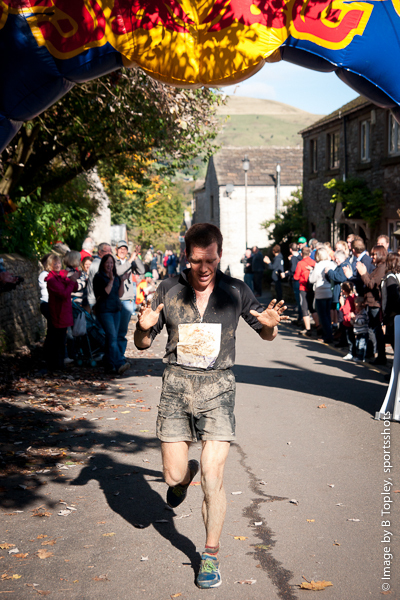 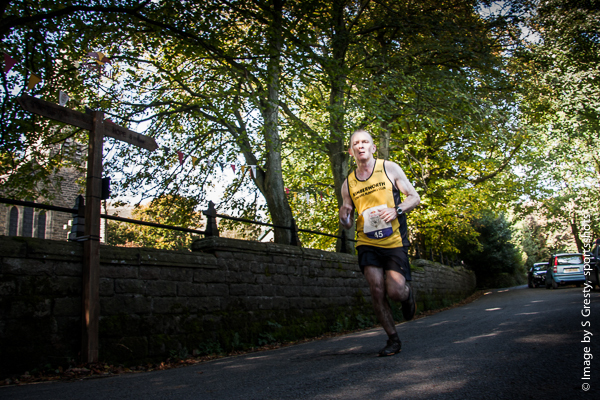 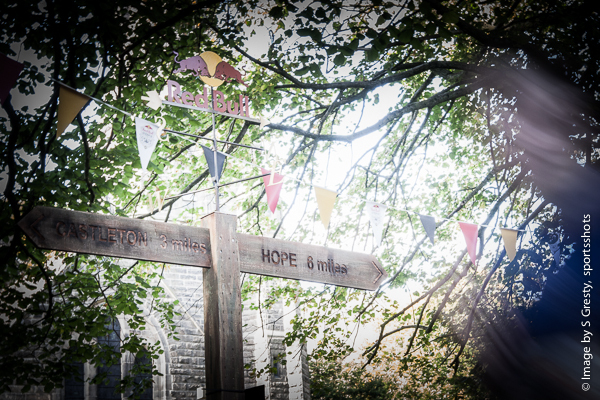 The final leg took the competitors back over Hollins Cross and down through Woodseats to the finishing line by the church steeple in Castleton. 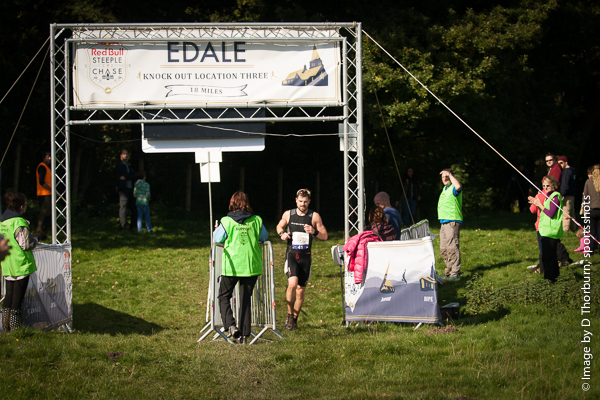 Russell Bentley steaming into the finish in a fantastic time of 2:48:18 with Chris Steele just 4½ minutes behind and Hugh Torry taking third place.